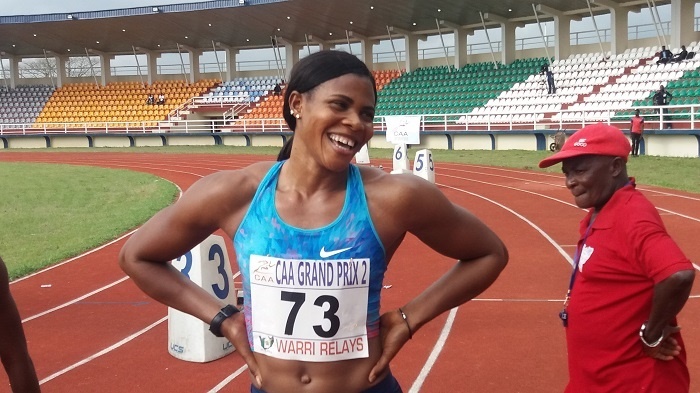 Okagbare’s winning time also becomes the new national record in the women’s 200m race. Africa Queen of the tracks, Blessing Okagbare has done it again. Blessing, on Saturday, started her outdoor season with an impressive 22.04secs in her 200m race at the Wes Kittley Invitational Track and Field Meet at the Abilene Christian University, which erased the 22-year-old previous African record of 22.07secs set by Mary Onyali at a meet in Switzerland in 1996. Apart from becoming the new African record, Okagbare’s winning time also becomes the new national record in the women’s 200m race. Okagbare’s previous personal best in the event was 22.23secs which was set at the 2014 Eugene Diamond League.